It's sometimes tempting to dismiss problems when you find an easy explanation. A few months ago, I received a call from the water department. The water meter reading for The Overlook was unusually high. Even worse, it appeared the meter was running when an employee took the reading. The news wasn't initially too concerning. I had gotten the same call after the last billing period, only to discover the culprit was an error reading the meter. So perhaps another mistake had happened. I also wasn't too worried about the meter running. The meter reader had noticed lights were on at The Overlook, and I verified with our property manager that a cleaning crew was onsite prepping the cabin for our next guests. It seemed like the problem had been solved, but there was a nagging doubt in the back of my mind. What if there really was an issue? In business, we often rely on others to get things done. It's important to trust our employees, colleagues, vendors, and contractors to do what they say they will do. It's equally important to verify it gets done. This is the third time the coffee table needed a repair. One of the services our property manager provides is inspecting The Overlook before and after guests stay with us. The pre-arrival inspection is to make sure the cabin has been properly cleaned and everything is in good working condition. The post-departure inspection is intended to look for any potential issues, such as this broken coffee table. The guests had somehow broken the face off of the drawer (how, I have no idea) and did not report it. They simply left the broken piece for someone to find. This is a trust, but verify system. Our property manager generally trusts the cabin is fully cleaned and in good condition, but a final inspection just before guests arrive verifies it truly is. Likewise, our property manager generally trusts that guests will share any issues or concerns, but an inspection can sometimes reveal an unreported problem. Let’s go back to our water issue. The water department re-checked the meter reading, just like last month. This time it was correct. We had somehow used four times as much water this billing period as we normally do. Two of our toilets had recently been repaired. When I got the call from the water department, I quickly contacted our property manager and asked her to check on the cabin. In particular, I asked her to check out the toilets. Trust, but verify. It's fortunate she did. One of the toilets had a small leak in the tank that caused it to constantly run, but the leak was so small you could easily miss it. The problem was immediately fixed once it was identified. Managers have become so afraid of the dreaded micromanagement that they go too far in the opposite direction. They delegate without any follow-up. Verifying work isn't micromanagement, it's validation. You can praise people when work is done correctly while having the peace of mind that everything is okay. And when something goes wrong, you have the opportunity to give feedback and help your team make any necessary corrections. However, there’s always something to improve or repair, and it’s easy for one person to miss something. That’s why our checklist covers quite the gamut, from checking for leaks, looking for burned out light bulbs, checking dishes and glasses for damage, and making sure the furniture is in good condition. There are also preventative maintenance items, such as changing the furnace filter and treating the septic tank. I did an extra inspection of the plumbing system the next time I visited after the toilet leak. The toilet appeared to be in good working condition, but I discovered some other issues. Pipes can freeze during the cold mountain winters, and I found two places where exposed pipes were uninsulated. This one was on me. I thought I had insulated all of the exposed piping, but I clearly missed a couple of places. The lesson here is trust, but verify is helpful even with your own work. Having a system in place, even a simple checklist, can help you do that. We recently had some upset guests at The Overlook. 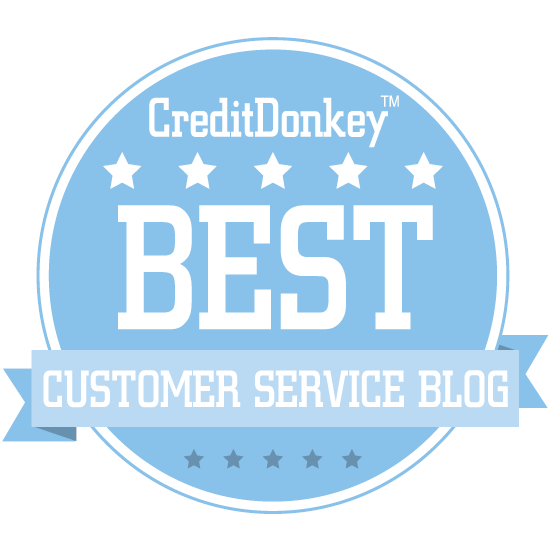 This story helps differentiate between customer service and customer experience, and highlights why you need to understand both. Our guests had originally booked a different cabin with our property management company. That cabin suddenly became unavailable, so our property manager re-accommodated the guests with us. They were clearly unhappy with the move. When people get upset, research shows they can become more judgmental and less open to ideas. In this case, the guests sent our property manager a slew of nit-picky complaints about The Overlook: there wasn't enough counter space in the bathrooms, there's only one television, etc. One complaint really caught our attention. The guests claimed our cabin had just three bedrooms, not four. We disagree with their count, but serving customers is a perception game. Here's how customer service and customer experience both played a role in this situation. Let's start with defining the terms customer service and customer experience. The two get mixed up a lot. There's a trend where customer service teams are renaming themselves the Customer Experience Team, but they're doing the same thing they were before. But customer experience is really much broader. The sum of all the interactions that a customer has with an organization over the life of the “relationship” with that company… and, especially, the feelings, emotions, and perceptions the customer has about those interactions. Customer experience encompasses customer service. It also includes product design, product quality, advertising, and many other factors not traditionally considered to be part of customer service. Our guests' complaint about the cabin really having just three bedrooms helps differentiate between customer service and customer experience. There are two bedrooms with queen beds on the main floor. There's an en suite master bedroom with a king bed downstairs. The fourth bedroom is upstairs from the main floor. The fourth bedroom has a king-sized bed, a closet, two windows, and its own bathroom. Our guests complained that it wasn't really a bedroom because it doesn't have a door. The customer service aspect was our property manager listening to the complaint with an empathetic ear and trying to rectify the situation in some way. Adding a door wasn't a feasible solution during the guests' stay, so they were ultimately offered a discount as compensation for their numerous complaints. Now let's look at the customer experience aspects that go beyond customer service. Our guests' party included young children, and their perception was the kids sleeping in the upstairs room were too loud for the adults because the room didn't have a door. They also complained that the bedroom lacked a television, so what our guests were really looking for was a place for the kids to entertain themselves while not disturbing the rest of the house. It's easy to write-off these complaints. The same guests complained the cabin was dirty because the kids’ white socks had dirt on them after the kids were running around outside in their socks. Yet there's often a kernel of truth in nearly every complaint. Their biggest issue was they weren't staying in the cabin they originally wanted. The Overlook was clearly not a great fit for these guests who probably would have been happier in a cabin with a separate TV room where they could stash the kids. Our property manager might steer a similar family to a different cabin the next time guests need to be re-accommodated. The upstairs bedroom is private and you can't see into it from the main floor, but some guests might still expect anything labeled a bedroom to have a door. So we've updated our advertising to explain that one of the bedrooms is a loft with its own bathroom. There's a word of caution here, too. You could spend a lot of money if you tried to give every guest exactly what they wanted. For example, we could put televisions in every room and add a door to the upstairs bedroom based on the feedback from just one unhappy group of guests. But that would be costly and it wouldn't dramatically improve the experience for our ideal guests who are coming up to the mountains to enjoy the outdoors and the peaceful serenity. We look at feedback in the context of our customer service vision: Welcome to your mountain retreat. So when some guests shared that they wished there were extra towels since they went hiking during the day and then used the hot tub at night, we saw this as an opportunity to enhance the experience in alignment with our vision. In this case, the cost of the extra towels was a worthwhile investment. Our property manager handled the situation well. The guests were placated in the end, though they probably won't be returning to The Overlook since it’s not a great match with their needs. We met with our property manager afterwards to discuss the guest experience improvements outlined above. One of the many reasons we like working with Idyllwild Vacation Cabins is the owner, Martha, always looks for a way to improve her guests’ experience. You can take action in your own business by understanding the difference between customer service and customer experience. Service is important, but you need other elements such as a good product, fair policies, and helpful advertising to create the best experience. I went to change the air filter on the heater while visiting The Overlook recently. Normally, there's an extra filter on hand to make this an easy chore, but I discovered I hadn't re-ordered filters the last time I'd used one. So I drove into town to buy one, but the size I needed was out of stock at both hardware stores in Idyllwild. In the end I had to order a new filter online and have it delivered to our property manager for installation later that week. Changing the air filter was a minor hassle this time. It was also a terrific reminder that I had fallen out of habit of doing something very important: using a checklist. Here's how a checklist is (usually) a timesaver at The Overlook, and why you should be using them, too. An inspection revealed a pipe under the spa deck was missing some insulation. We asked our property manager to have it fixed before it caused any real problems. When my wife, Sally, and I first bought The Overlook in October 2016, we created a preventative maintenance (PM) checklist. Our plan was to use the checklist when inspecting the cabin on our regular visits. It would help us remember what to inspect while identifying some maintenance items that had to be done on occasion. We've updated the checklist as we've discovered new requirements or added a new feature, like a game room. We've found the checklist to be extremely useful. There's been some minor maintenance to be done each time we've visited the cabin, which is usually once every six weeks. Glasses are missing, lightbulbs are burned out, guests leave personal items in drawers, furniture has been moved, you name it. The PM checklist also contains a lot of helpful reminders, such as pumping the septic tank, trimming trees, and checking our propane consumption. We also use it to identify when to re-order supplies such as spare glasses, dishes, lightbulbs, and cleaning supplies. We've strayed away from using the checklist during the past few months. The excuse was busyness. A day trip to the cabin in September was a whirlwind of chores. We returned in October, but storm knocked the power out and put a damper on our plans. Another trip the first weekend in December was nice, but there was also a long list of chores that needed to be done. In hindsight, these were precisely the times when a checklist would have been handy. It would have helped me remember to order new air filters for our heater or inspect the piping under the spa deck (see photo). I allowed myself to get so busy focusing on whatever task was right in front of me that I neglected to follow our own procedure. Fortunately, the only fallout was a little wasted time from not having replacement air filters on hand. I know it could have been worse, such as a frozen pipe! We'll definitely be using our PM checklist on the next visit. A checklist is great to have if there's something you want people to inspect or a list of chores you want people to do on a regular basis. Retail shops use them for opening and closing the store. Contact centers use them when evaluating phone calls. A home repair technician uses them to inventory parts on the truck. A mechanic uses them when inspecting your vehicle. Restaurants use them for cleaning the kitchen. There are probably multiple ways to build a PM checklist. Here's how we built ours. Start with an initial walk-through. Capture any items to add to your checklist. For the first few times you use it, identify any needed adjustments. Review and update the checklist periodically, at least once per year. Another consideration is how people will access the checklist. This should be a function of who is using it, when they're using it, and where they're using it. For example, you've probably seen an inspection checklist posted in a public restroom. This makes it very easy for the janitorial crew to identify what needs to be cleaned or inspected, and mark down the work that has been done. We keep our PM checklist on a Google Doc, so it's easy for either of us to pull it up on an iPad and update it as we walk around the house. Our experience taught us that it's easy to use busyness as an excuse to stop doing things the right way. In the long run, not using the checklist cost us more time than it saved. The couch has three decorative pillows. They often get moved around to different parts of the house. On a recent inspection, one was in the living room, one was on the patio couch, and one was over the side railing. At least one glass is missing. Some dishes and glasses are dirty. It's a minor inconvenience for us. We immediately replace any missing or broken dishes or glassware, and we clean any that need cleaning. I understand that guests won't always clean dishes, report minor damage, or even put things back where they found them. My true worry is how this impacts the next guest. What some people don't understand when they rent a vacation home is it is genuinely a home, not a hotel. Our property manager, Idyllwild Vacation Cabins, does a terrific job maintaining the cabin and keeping it clean and tidy. Yet it's simply not feasible for the cleaning crew to inspect every dish like we do, or to memorize the location of every piece of furniture, blanket, kitchen tool, and knick-knack in the house. So a dirty dish that's hidden on the bottom of the stack in the cupboard will gross out the next guest who finds it. A broken glass that's unreported will mean the next guest will have to make do with one fewer. The puzzle pieces dumped in a drawer will create extra work for the next guest who wants to work a puzzle. And the blankets moved to different rooms might stay there, meaning someone else's grandma is going to be cold on a winter night. You don't want grandma to freeze, do you? If you rent a vacation home, my advice is to treat it like you were staying in a friend's home. Chances are, you'd earnestly want to be a good houseguest. Report damage, no matter how small, so it can be fixed for the next guest. Put everything back where you found it, or as near as you can remember. Clean and dry dishes before you put them away. Take out trash and avoid littering. Follow the check-out instructions precisely. The goal is to ensure you have a great time, and our next guests have a great time, too. Here's a positive example from one of our last guests. The guests reported that the upstairs toilet would occasionally continue running after it was flushed. This not only wastes water, it creates a hassle for guests who have to jiggle the handle or even take the lid off the tank to get it to stop. They reported the issue to our property manager, and the toilet was fixed by the time the next guests checked in.